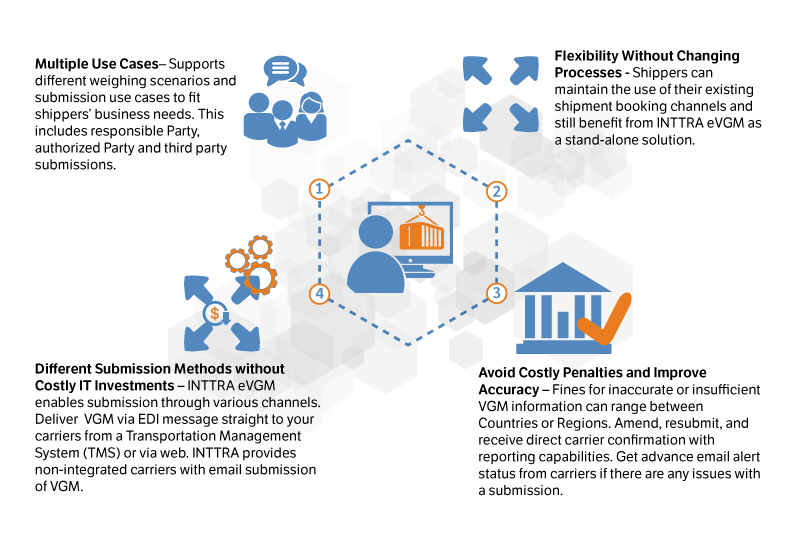 INTTRA’s VGM compliance solution, makes it easier than ever for your business to comply with the IMO regulation and electronically submit VGM documentation to any shipping line. Whether you want to integrate using EDI or jump start your team using our web portal application we offer various options. 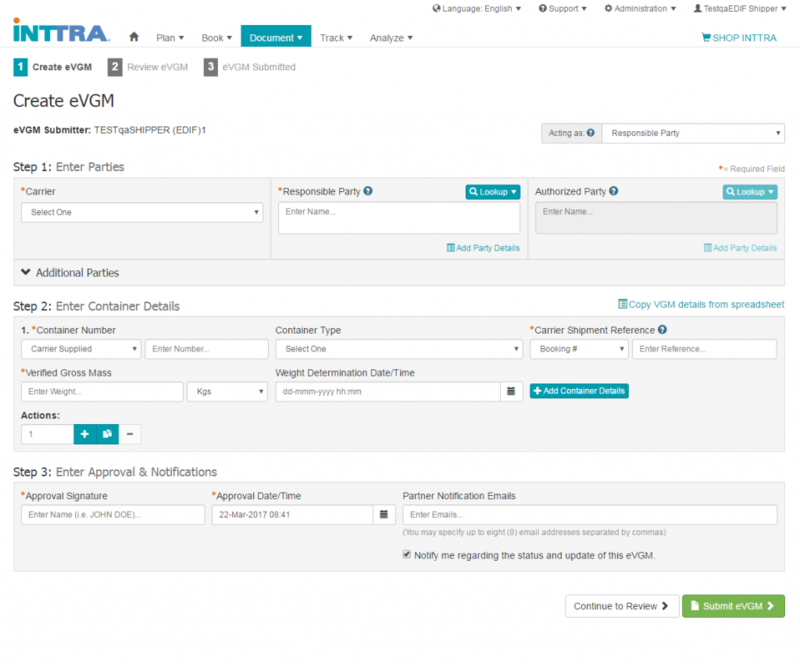 Once logged into the portal, click on the banner graphic at the top of the portal page in order to access the eVGM form. Complete the eVGM form with agreements to terms and conditions. Your eVGM account activation will be completed within 3 business days.